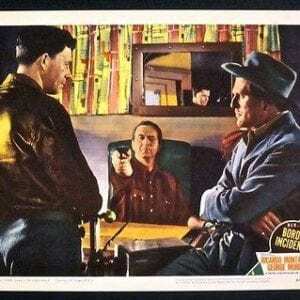 DETECTIVE STORY ’51 1 SHEET POSTER KIRK DOUGLAS & ELEANOR PARKER CRIME CLASSIC! Overall displays in Good to Very Good Condition. Original folded-as-issued One Sheet for the classic 1951 William Wyler directed (& nominated for a Best Director Academy Award) ‘day in the life’ crime tale, DETECTIVE STORY, displays many corner/blank border pinholes, some fold wear & cross fold separations, otherwise displays NO fading, NO staining, displays like-new color & features terrific artwork! 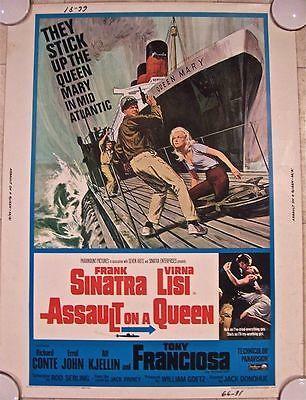 Size: Original U.S. One Sheet (27″ x 41″). Condition: Overall displays in Good to Very Good Condition. Original folded-as-issued One Sheet for the classic 1951 William Wyler directed (& nominated for a Best Director Academy Award) ‘day in the life’ crime tale, DETECTIVE STORY, displays many corner/blank border pinholes, some fold wear & cross fold separations, otherwise displays NO fading, NO staining, displays like-new color & features terrific artwork! Please refer to the attached images and enlarge for a detailed view of this original folded-as-issued One Sheet for the classic 1951 William Wyler directed (& nominated for a Best Director Academy Award) ‘day in the life’ crime tale, DETECTIVE STORY. We will be listing many posters this week and weekend so keep checking back for new additions. BLACKBOARD JUNGLE '55 3 SH ~ GLENN FORD ~ ANNE FRANCIS & SIDNEY POITIER CLASSIC! 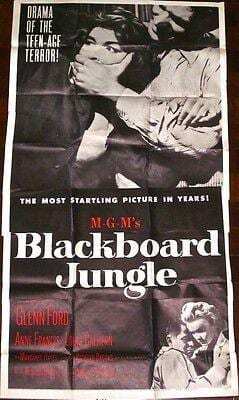 BLACKBOARD JUNGLE ’55 3 SH ~ GLENN FORD ~ ANNE FRANCIS & SIDNEY POITIER CLASSIC! BIRTH OF A NATION R20'S LC D.W. GRIFFITH ~ ABRAHAM LINCOLN & GREAT BORDER ART! BIRTH OF A NATION R20’S LC D.W. GRIFFITH ~ ABRAHAM LINCOLN & GREAT BORDER ART! 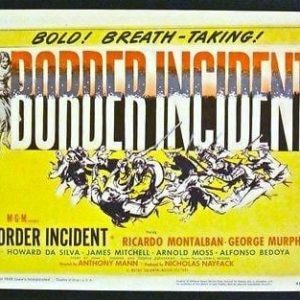 BORDER INCIDENT '49 TC + LC #6 ANTHONY MANN DIRECTS ILLEGAL IMMIGRANT FILM NOIR! 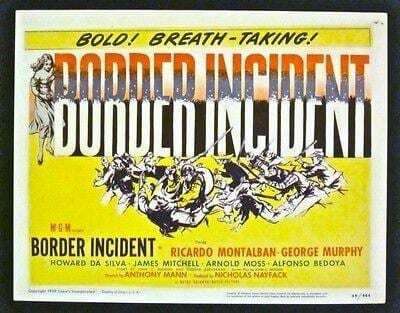 BORDER INCIDENT ’49 TC + LC #6 ANTHONY MANN DIRECTS ILLEGAL IMMIGRANT FILM NOIR! CRIME DOCTOR'S STRANGEST CASE '43 1 SH ~ WARNER BAXTER & LLOYD BRIDGES NOIR! 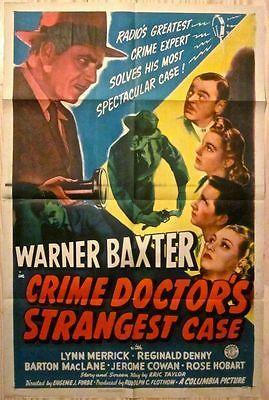 CRIME DOCTOR’S STRANGEST CASE ’43 1 SH ~ WARNER BAXTER & LLOYD BRIDGES NOIR! 2 SINATRA 30x40'S ROLLED! 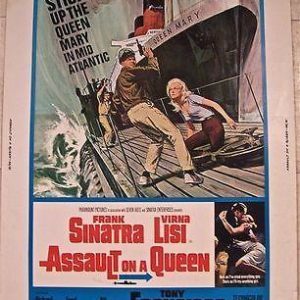 THE DETECTIVE & ASSAULT ON A QUEEN ROD SERLING SCRIPT! 2 SINATRA 30×40’S ROLLED! 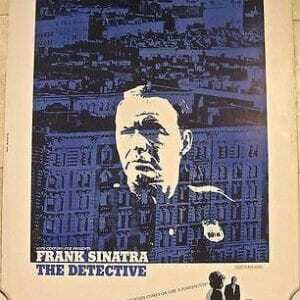 THE DETECTIVE & ASSAULT ON A QUEEN ROD SERLING SCRIPT!